What is DME & How does it work? The airplane sends out a signal, also known as an ‘interrogation’ directly to the Station from which it will be sent back (after ~50 microseconds) to the airplane immediately. 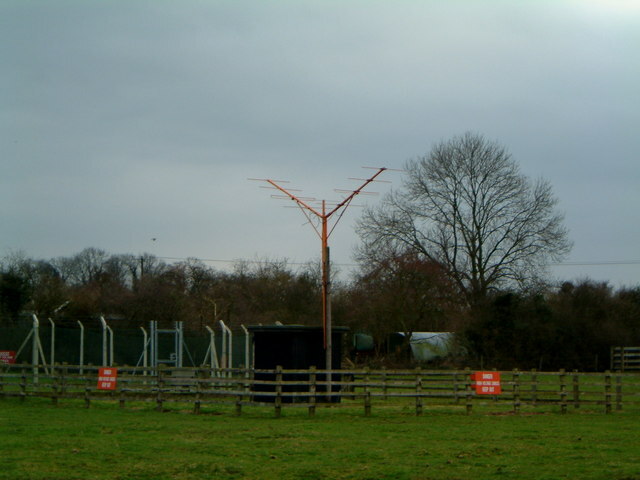 The interrogation can also be understood as a signal request from the aircraft to the VOR Station. The airplane’s receiver will calculate the time it takes for the signal to travel back and forth and will then convert it into distance information (nm). which is also called ‘Slant Range‘. The biggest error in indicated distance will be at higher altitudes directly over the station. At high altitudes, your DME shows your height in nm. If you cross a station at 7000 ft, the distance indicated will be around 1.2 nm. Where else may DME be used? usually along the Final Approach Path of an ILS Approach. They have a power output of 3 watts or less. Where are Marker Beacons used? Final Approach Path of an ILS approach to audibly confirm the Pilot specific positions. For position information, just take a look at the examples below. 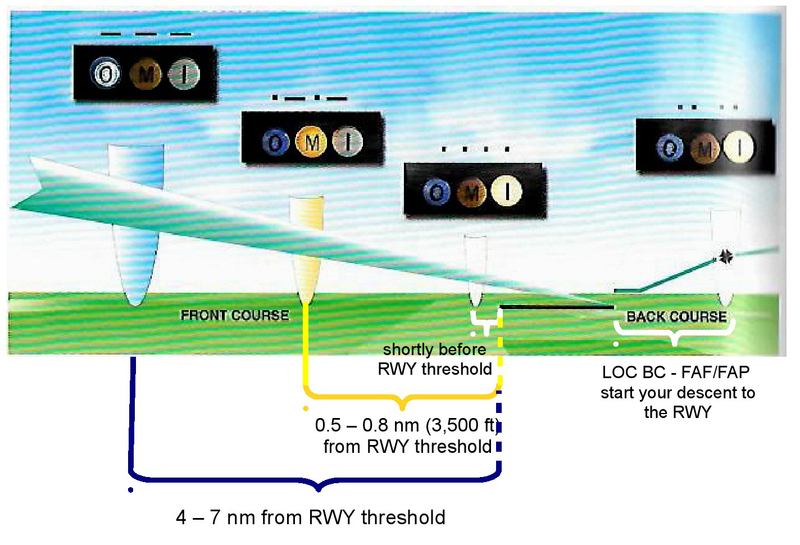 ‘positioned at about 0.5 – 0.8 nm (~3,500ft) on the extended RWY CTL from the threshold. the CL can either be a MM or OM co-located with a low powered NDB (output < 25 watts), which enables the pilot to navigate directly to the beacon (NDB-station). It reaches out to at least 15 miles from it’s location. The CL usually acts a the FAP/FAF of an ILS. Transcribed Weather Broadcast (TWEB) information. Where does the name Compass Locator come from?